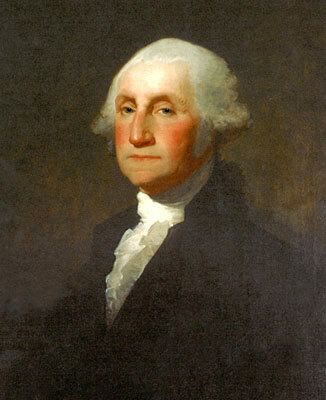 George Washington, painted by Gilbert Stuart, 1796. Courtesy Corcoran Gallery of Art, Washington, D.C., bequest of Benjamin Ogle Tayloe, reprinted from Rasmussen and Tilton, George Washington: The Man Behind the Myths, University of Virginia Press, 1999, 224. Although he died over 200 years ago, Washington—school boy, surveyor, military commander, family man, president and farmer—lives on today at the Papers of George Washington at the University of Virginia. When the project began in 1968, our first job was to locate all the Washington materials we could. Washington was a prolific writer. To date, we have copies of 135,000 manuscripts from all over the world, including his diaries, letters, certificates and legal documents that GW wrote or received. Once we have a manuscript and have determined that it is authentic, the next step is to transcribe it, or to decipher the handwritingnot always an easy task. After the manuscripts have been retyped and checked, our editors research the people, events and places they refer to so that we can explain the letters or reports or diaries to modern-day readers. Researchers who want to write about George Washington or the time period he lived in use the published volumes (there are currently 47 books) or come to look at our collection of documents. We anticipate another 20 more years of work ahead of us, for a total of 90 volumes of edited Washington manuscripts the most complete record of George Washington that exists. Thanks for visiting!